friends and then had a good snooze? I had been busy a couple of days before Easter with cake and cupcake orders. And a couple of dessert orders. 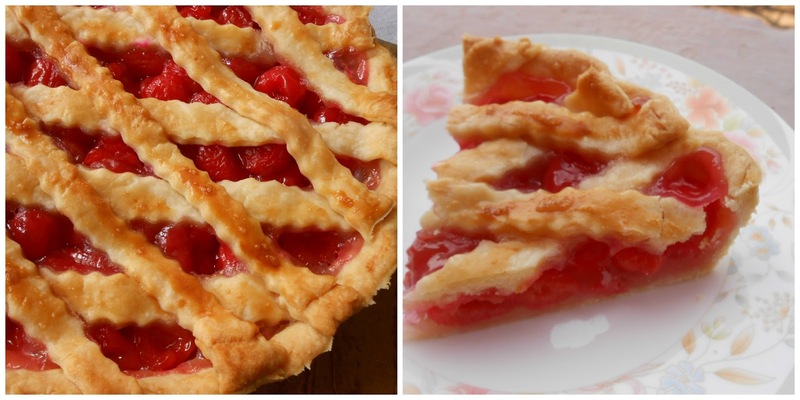 One of them was this lattice cherry pie. As usual, I forgot to take a picture so I had to ask the recipient of the pie to take one for me. Here’s wishing all of you a blessed Easter. This Cherry pie looks yumm ,please do let me know if a class happens on pies.